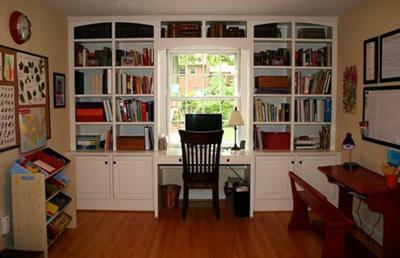 Jennifer stores books on the beautiful built-ins in her schoolroom, and uses the attached desk for a work space. 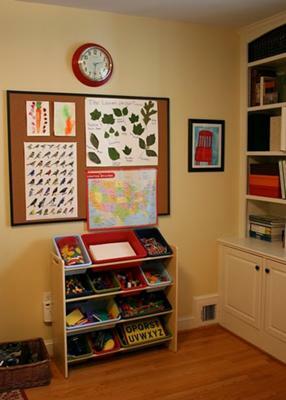 Her child's desk was taken from a neighbor's trash, and the bins in her home school room hold toys, math manipulatives, blank paper, games, and puzzles. You can view more photos on Jennifer's blog.